MB Kit Systems was contacted by a subcontractor to a notable company in the energy industry to create a new project for their manufacturing plant. The task was to design a high-resolution scanner using a linear motion application which would be used for offline product quality inspection. To execute the task at hand, high-quality extrusions and components were required along with our engineering team working closely with the customer to integrate their final selection of drive components. 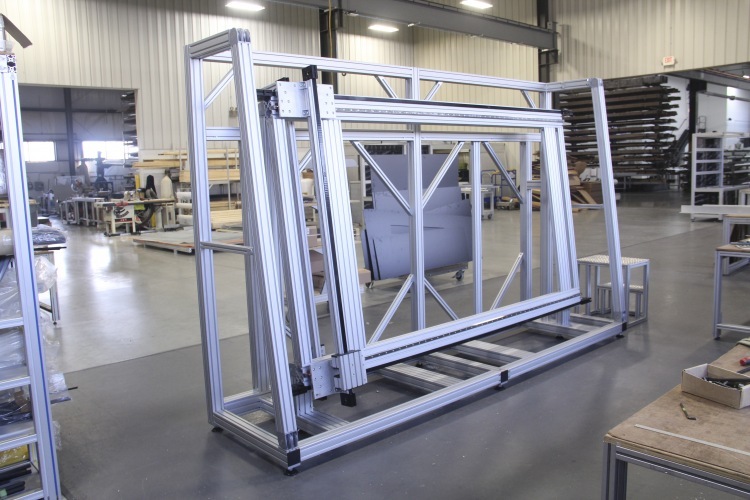 The MB Kit engineering team has designed numerous linear motion applications for this company in the past and frequently designs other complex linear applications for many other companies. Based on our level of experience and having an excellent on-going working relationship with this customer they had confidence we would produce the specifications required for this project within the time-frame the required. Previous successful projects instilled faith in the customer to use MB Kit Systems again for this new project. The customer plans to purchase again in the future. The MB Kit engineering team worked with the customer through its entirety to ensure the correct final drive components were implemented to allow the machine to function as they needed. The linear motion application is helping the customer save numerous operation costs, while performing a critical inspection function. 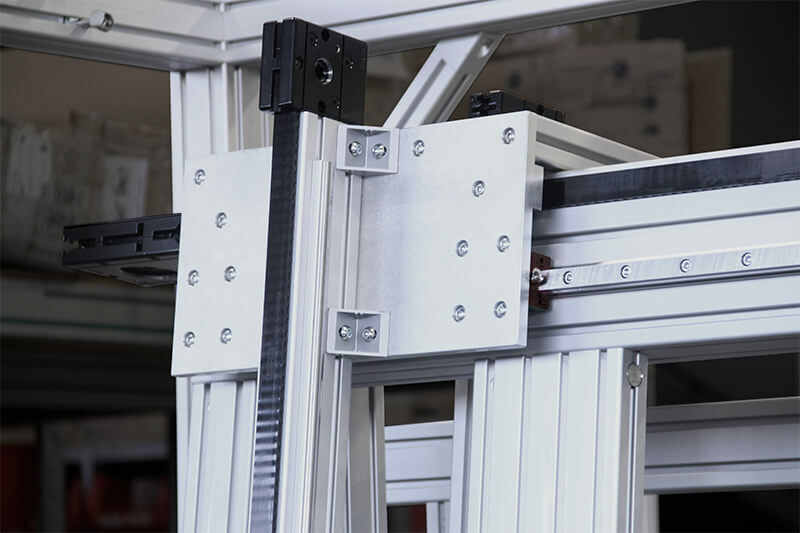 This linear motion project was designed to perform a very specific function. The machine helps with simple random sampling for offline product quality inspection. It inspects impurities, irregularities, and measures product performance. The machine was designed knowing that accurate repeated motion control to the 10th and 15th thousandth of an inch would occur. The application includes two belt-driven carriages that operate on a multi-axis plane (x and z-axis). The carriages were required to be independent of each other to allow sensors to scan the coatings for imperfections. 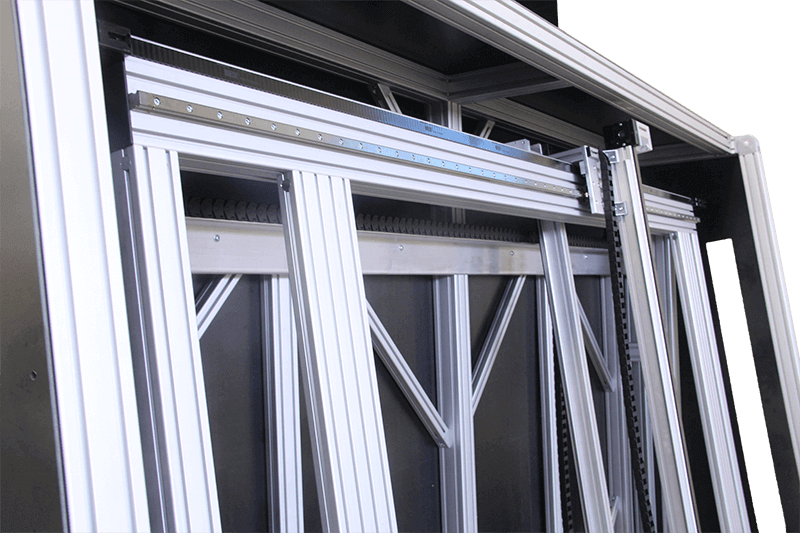 Large 160x80 profiles were used with high-quality fastening components to create a strong and stable frame that minimizes vibration, ultimately preventing deflection. An enclosure made with plastic paneling was built around the project to limit outside light and reflection, enabling the scanner to perform its function. 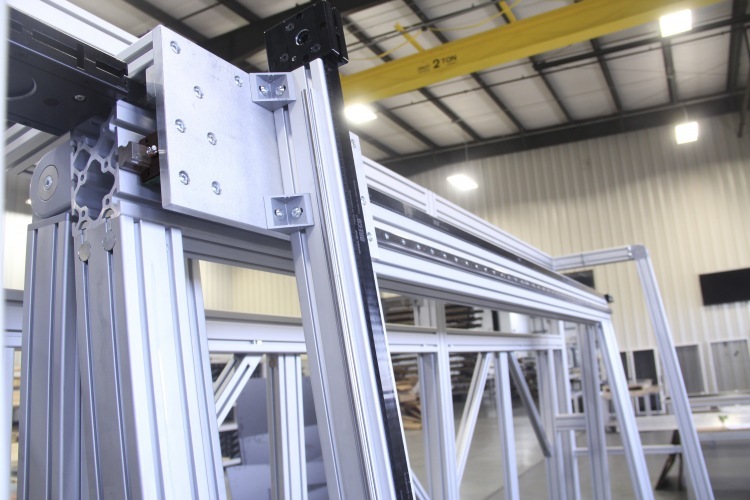 At the end of the day, this linear motion project helped our customer perform a crucial inspection function. The company benefited having this equipment by saving costs in operations, labor, and supplies, while ensuring coatings were being applied accurately to specification. The cost of this external measure was well worth the investment. They are now able to provide their customers with a consistent high-quality product. 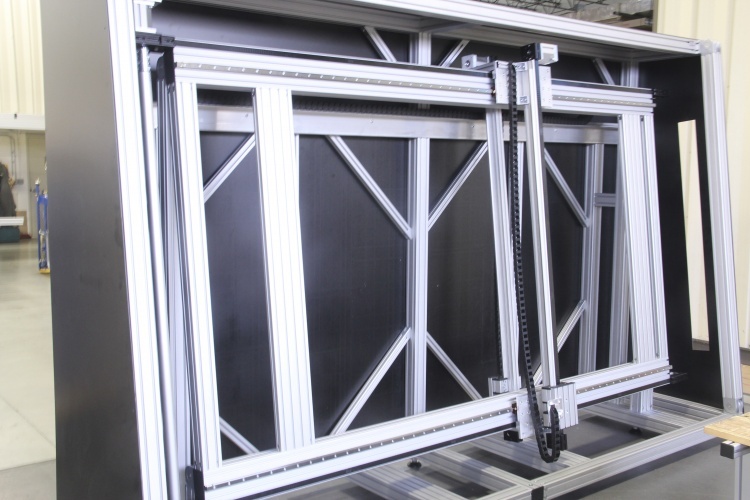 Below are some of the T-slot profiles and components used to create this project. I had great confidence in MB Kit Systems’ ability to build the system on time, while meeting all requirements based on past interactions. As expected the system was delivered on time and met all customer requirements and expectations. Users are happy with the performance and aesthetics of the system. We plan to purchase additional systems to be used in offshore manufacturing lines. 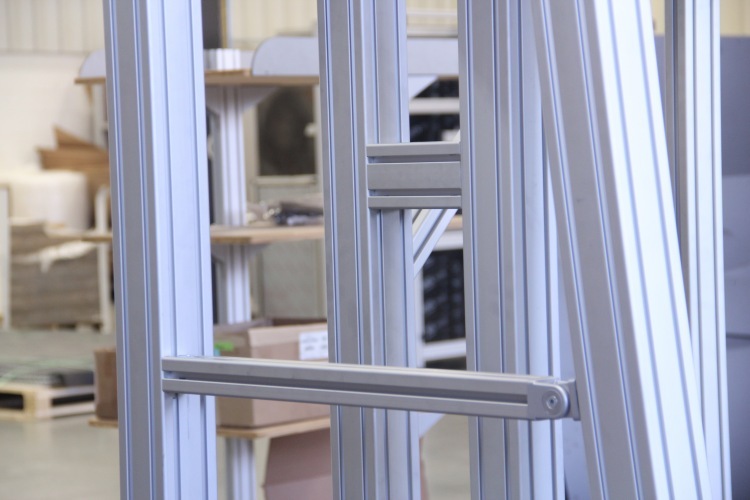 Aluminum profiles, components, and framing solutions. We can help you.